Okay, no one jump to any conclusions. I happen to be a huge fanboy and I love me my comic book films, animated or not. So, with that in mind, I decided to try reviewing a few of my favourites. If it happens to catch on, I’ll probably make it a common thing here at The Cinema Monster…Enjoy! Adapted, loosely albeit, from Mark Waid’s “JLA: Tower of Babel” story arc, “Justice League: Doom” is a fanboys dream. Simultaneously portraying these timeless heroes in a way that causes the viewer to reminisce of their childhood idols while also appealing to their maturity with a dark, mortal, more relatable twist on the league. Director Lauren Montgomery and writer Dwayne McDuffie definitely understand their target audience and are able to not only create a captivating tale, but also make it feel nostalgic, look current, and overall authentic. Although this animated film does touch upon a series of human elements that make each individual superhero just as enticing and revered as ever. The team behind the scenes put an equal amount of effort into making sure each villain is one the viewer will love-to-hate. 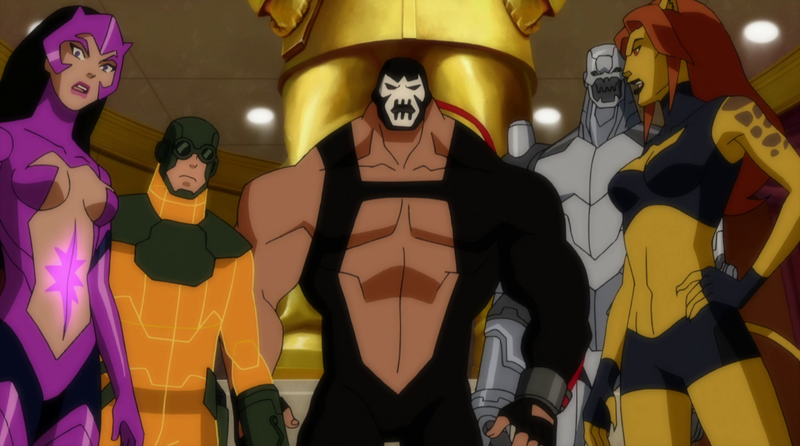 Which ultimate makes “Justice League: Doom” one of the most complete and entertaining animated superhero films. Vandal Savage has concocted a plot to exterminate a great chunk of the Earth’s population. Soon, he recruits a slew of villains to help him disband and destroy the Justice League of America to insure that they will not stand in his way. 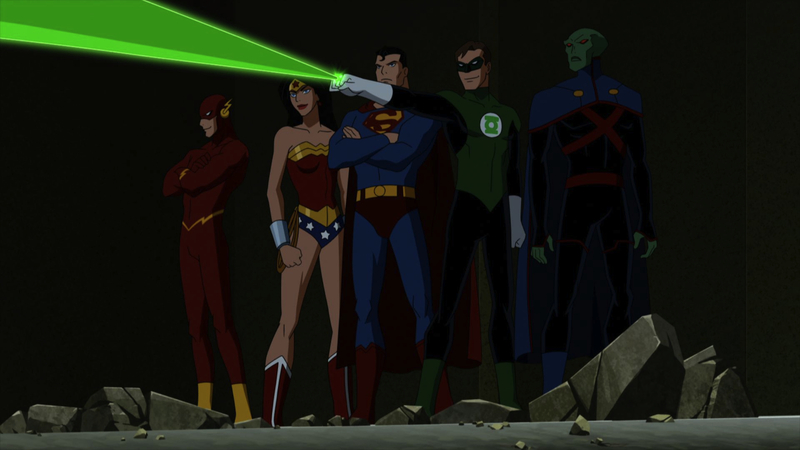 During the routine bust of a familiar group, the JLA slowly begins to unravel. Quickly, with the help of information stolen from the Batcomputer, Savage and his group of evildoers grab the upper hand and the JLA looks to be out of options. 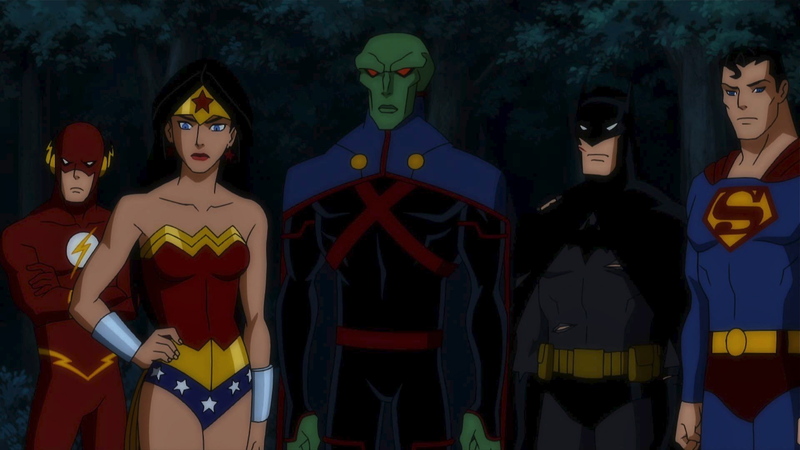 Despite the rather short runtime, “Justice League: Doom” is a veritable, unwavering gaze into the fear and insecurities motivating, as well as hampering each individual member of the JLA. Which infuses a much needed relatability and honesty to our ageless superheroes. And with enough of a twist on traditional cinematic skeletal structures and an excess of heart-racing action sequences that, at times, are down-right vicious. 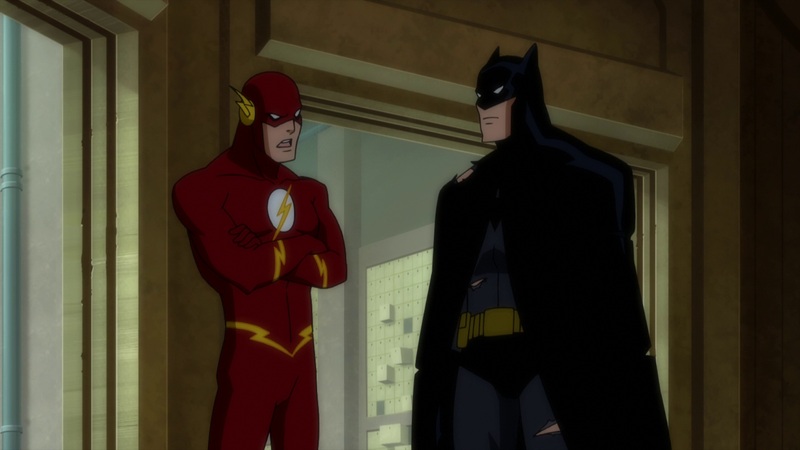 “Justice League: Doom” matches up quite nicely against big-budget blockbusters and it frequently offers more heart and intellect than these trivial, slapped together offerings can muster at their best moments. Now, of course an animated film comes with a few trade offs, most notable is the absence of living actors on screen. However, if you don’t mind swapping substance for fantasticality, you’ll not only be pleasantly surprised, but ultimately feel rewarded. Although only being able to convey emotion, reaction, and vulnerability through voice. The actors used to portray the JLA make this inevitable, seemingly disadvantageous predicament not only tolerable, but are able to thrive under the circumstance. The aforementioned director Lauren Montgomery and writer Dwayne McDuffie also do a sublime job from behind the camera. The tone and overall atmosphere of the film ranges from light, occasionally funny to dark and brooding, but never abruptly spikes, everything shifts into one another smoothly. The result, as with most impressive comic book flicks, is that there comes a moment when you totally forget that what you’re seeing is animation and soon drop the notion entirely. Eventually you’ll wind up watching the film for what it is…a heartfelt, intelligent, action-packed thrill. 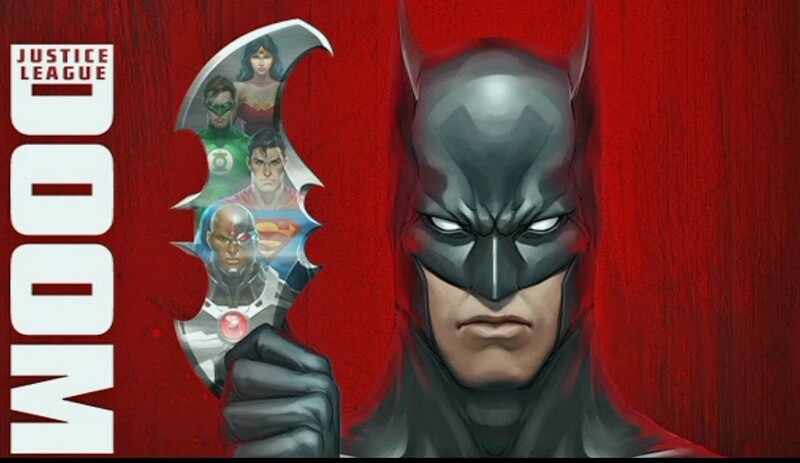 Justice League: Doom: 8 out of 10.